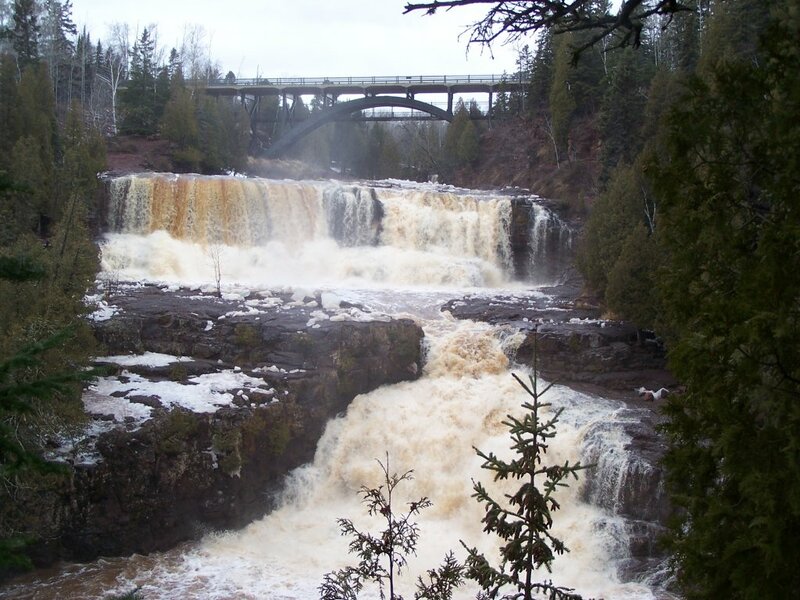 ← Snowmobile trail conditions are still good! 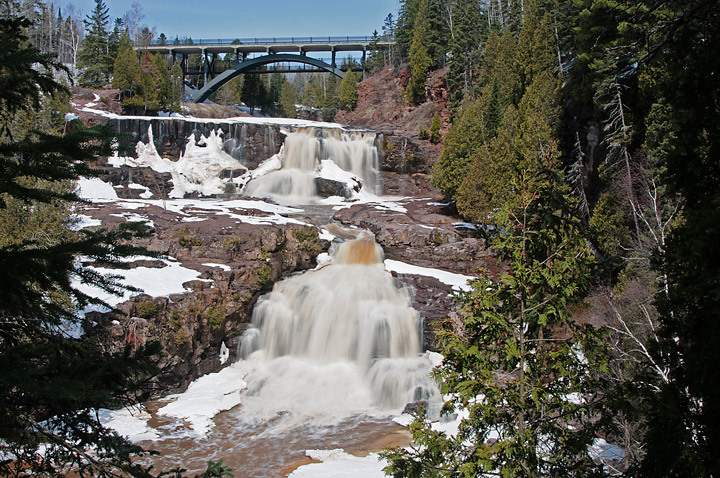 A sure sign of springtime along the North Shore is fast-flowing waterfalls! 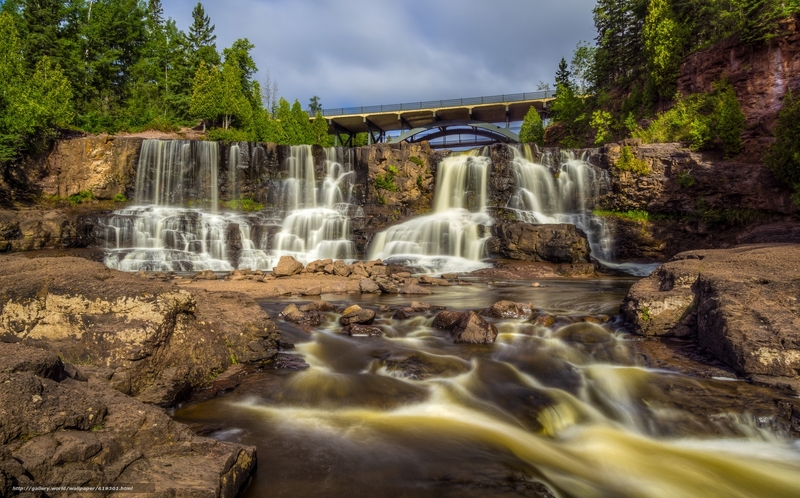 Just a short 13 mile drive up the shore from Two Harbors is the spectacular Gooseberry Falls State Park.